1. Pour your off-brand liquor into a glass decanter because nobody needs to know you get your favorite booze in handles from Costco. Get it from Amazon for $19.99 (also available in "Hooch", "Liquid Courage", and "Truth Serum"). 2. 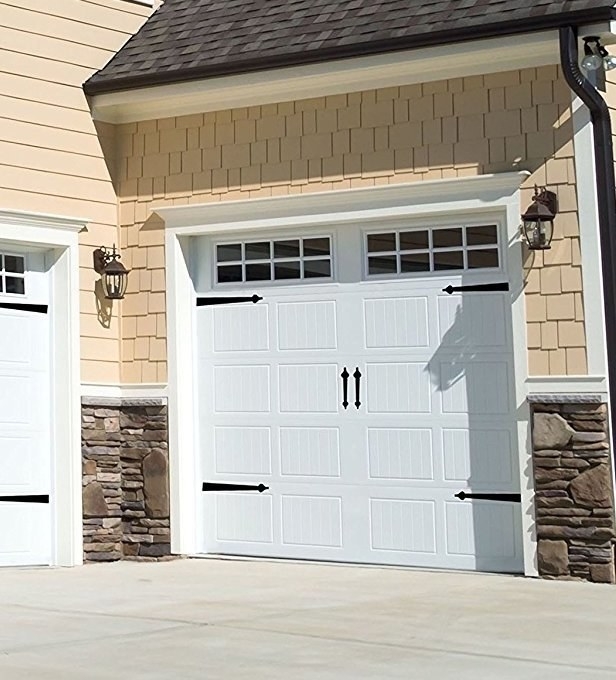 Instantly update your garage door with carriage-style magnets to create a ~focal point~ that distracts from any other unsightly details you're not gonna fix anytime soon. Promising review: "Really dressed up our garage door!!!! Get the set of four hinges and two handles on Amazon for $12.11. 3. Cover up your gross-looking concrete with garage floor paint for a clean visual slate in a space you use every day. Read the full tutorial on Clean & Scentsible. Get a gallon of concrete paint on Amazon for $36.92. 4. Recover those old throw pillows you're not in love with anymore with cute shams that cost less than buying a bunch of new cushions. Protip: If you can't find shams with the exact same measurements as your throw pillows, go for covers an inch or two smaller for an ~overstuffed~ look. Get this set of six 18"x18" covers for $26.99 or a different set of five 18"x18" featuring illustrations for $33.99, both on Amazon. 5. Disguise a hideous buzzer or interior fuse box with a trendy macramé hanging you can move when you need easy access. Get this one on Amazon for $14.99 (two designs available). 6. Hide all the crap you shove under your bed with a sharp bed skirt that coordinates with the rest of your bedding — your bedroom will immediately look neater. Get this one on Amazon, $18.99 for a queen (also available in twin, full, and king; four colors). 7. 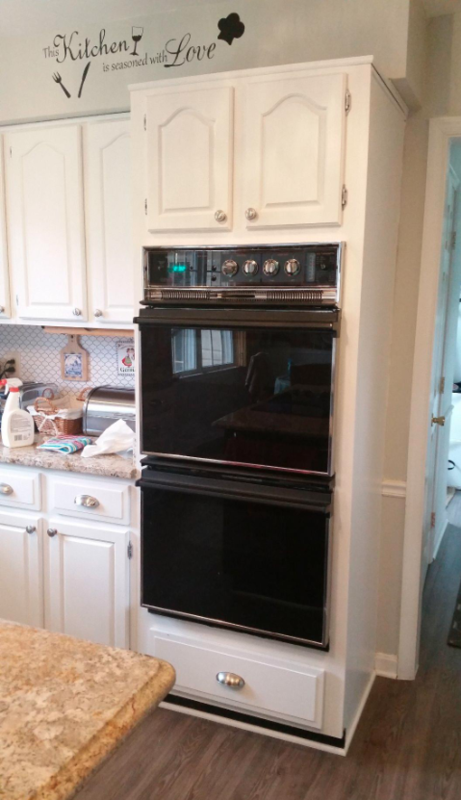 Update your circa-1990s appliances for less than the cost of dinner for two: simply cover them in stainless-steel-effect contact paper. Get an 18"x72" roll on Amazon for $11.91. 8. Ditch the branded hand soap pump you've been refilling all year for foaming dispensers — these use less soap per pump than regular bottles, so you'll save $$ on soap refills, too. Oh, and you can totally use the rest of your regular liquid soap refill with these! Just combine one part liquid soap with five parts water. Get a pack of two dispensers on Amazon for $17.99. 9. 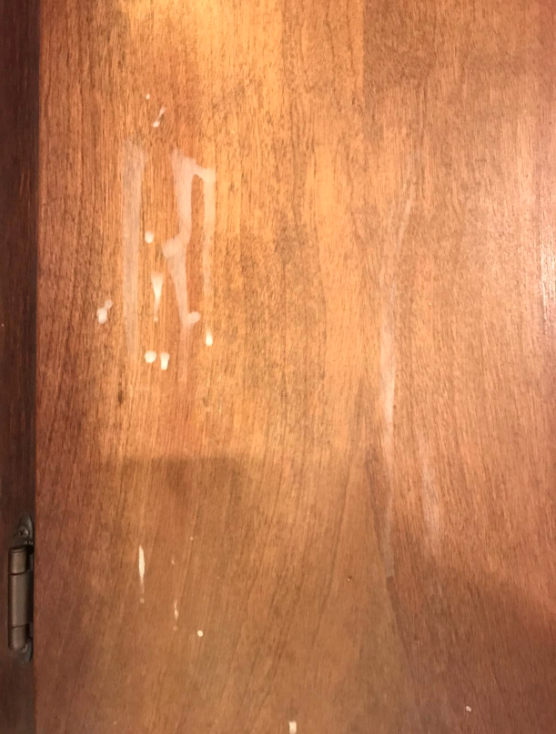 Restore beat-up furniture and other wood (or simply darken light-tone wood pieces) with Old English Scratch Cover. A couple reviewers note that a little goes a long way — even for a somewhat bigger project, one bottle may be enough. Get a bottle on Amazon for $4.82. 10. Swap out your standard air vent wall registers with a decorative cover worthy of Gatsby himself. Get one on Amazon for $12.72+ (three finishes). 11. 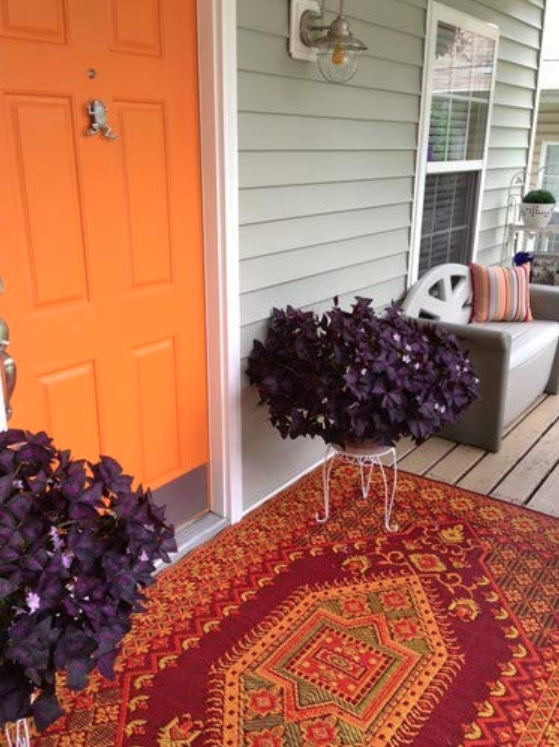 Dress up a less-than-lovely patio or porch — or protect a high-traffic area so it doesn't deteriorate — by laying down an indoor/outdoor rug that'll seem like it's there exclusively because it looks good. Get the 4'x6' on Amazon for $51 (four colors; also available in 5'x'8, 6'x'9', and as a runner). 12. The same goes with any unsightly spots indoors: a standout print rug can give the neglected area some well-deserved attention. Promising review: "Purchased this for a nursery (space theme!) and found the color and print to be very true to the photos. Absolutely love it! It's also extremely soft (good for a baby to play on) and seems to be very well made. Also came one week earlier than shipping originally estimated. 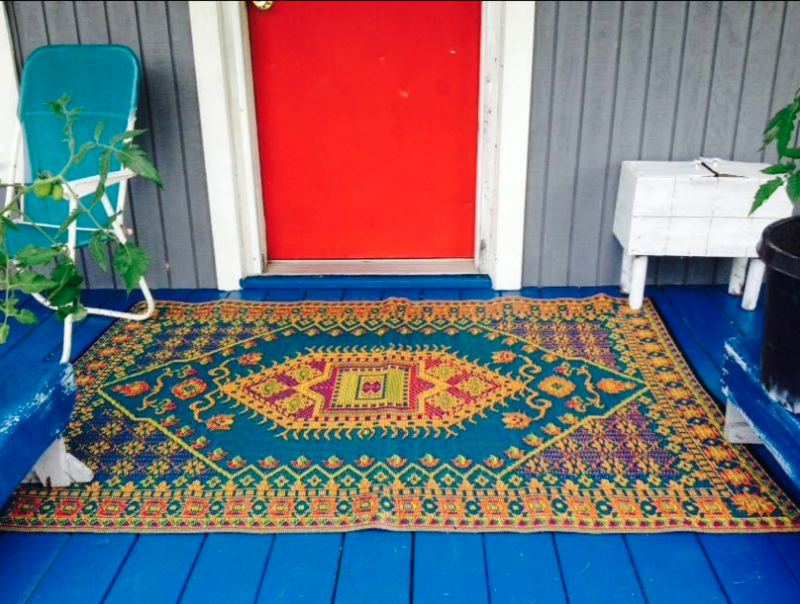 Extremely pleased with this rug!" —Kat D.
Get it on Amazon for $32.85 (eight colors available in many sizes). 13. Obscure an eyesore of a view with rainbow-y self-adhesive window film — besides looking jaw-droppingly beautiful, it'll also provide a little extra privacy. Get a 23"x78" roll on Amazon for $16.59 (seven roll sizes available). 14. Consolidate the mess that is your TV's cords in a cable raceway because there's no reason your grown-up living room needs to remind you of your college dorm years one little bit. Get the kit (which has six cable covers that total 150", self-adhesive tape, and 12 connector pieces) on Amazon for $27.99. 15. Toss your stinkiest discards in a slide-out trash can you can easily install in a lower kitchen cabinet yourself (as long as you're semi-proficient with a drill, or willing to learn). The 20-quart container comes with all the mounting hardware you'll need. Get it on Amazon for $26.41. 16. And temporarily store your compostables in this odor-locking compost bin you won't mind keeping out on your kitchen counter. Its lid removes completely so it's super easy to empty, too. Get it on Amazon for $19.99 (two colors). 17. Build a simple log store so your lopsided wood pile no longer looks like it's languishing but your growing collection can still breathe. Get the how-to from Little House On The Corner. 18. Slap on a coat of old-fashioned primer to brighten up a dingy brick garage over the course of a regular old Sunday afternoon. Read the full how-to on Hawthorne and Main. Get a quart of white primer on Amazon for $8.98. 19. Hang a roll of faux ivy to solve several problems: conceal ugly railing or wire fence, create a little extra privacy, and block a view you wish you didn't have to see. Get a 94"x39" roll on Amazon for $30.99. 20. Organize "drop zone" stuff like mail, keys, and reusable grocery bags on this tidy wall shelf instead of just dumping it all on your kitchen counter. 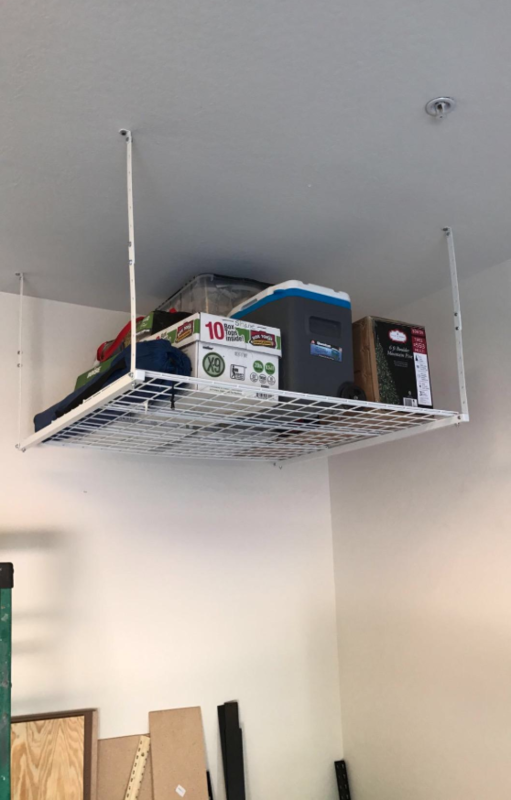 Promising review: "I've had this shelf for quite a while now, and I have to say this was a great investment. The quality of this product is top-class, from a beautiful design to the strength of the build to the practicality of the features. This is exactly what I needed for my home and helps keep my keys organized and my bills and envelopes ready to mail." —Ryan W.
Get it on Amazon for $32.45. 21. Makeover up your old-school bathtub with a tub-and-tile kit to hold you over until you have the time/cash/inspiration to shell out the big bucks to replace it. Get it on Amazon for $25.97. 22. Shelter a tangled powerstrip inside a power cord box so nothing accidentally ends up unplugged (and you don't have to look at it all, either). Promising review: "I keep ordering these, because they work and I literally forget they are in the house. I hide all my various plugs and power strips and keep it all neat and tidy. I use them under my desks, so I have never used the 'phone mount' feature, so I have no idea how practical it is. If you want to organize your rat's nest of cords and power strips, get this bad boy!" —Owen L.
Get it on Amazon for $14.99 (two colors and sizes). 23. And box up a router and other e-clutter behind a row of cut-up books for a visual disguise that won't block the all-important wifi signal. Basically, the spines of the books books are attached but have with all the pages and covers cut out of 'em, except the two covers on the very ends. Get one from Covogoods on Etsy for $21+. 24. Loft seasonal essentials cluttering up your garage floor with sturdy ceiling-mount shelves so everything will be accessible but out of your direct eye line. Promising review: "I actually am using them in my two outdoor sheds so I can take advantage of the unused upper portion. They come partially assembled and are fairly easy to install. I chose not to use the large lag screws that came with it and chose to use a heavy-duty shorter wood screw. 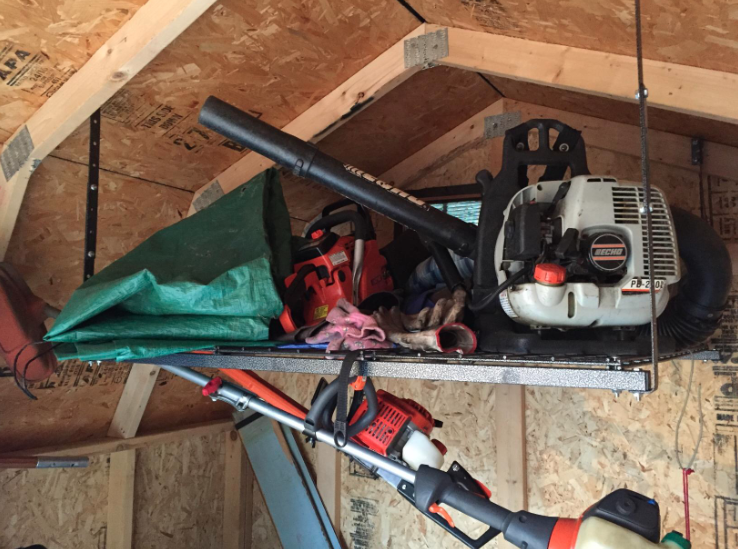 Because the rafters in the shed are only 2x4s and I wasn't putting anything too heavy on lift, that was an option. It is made so well and can be basically adjusted to any angle you have. I even hung some yard equipment from loft. It can handle a bit of weight but be sure to follow the directions if you will be loading it up." —J.F. 25. 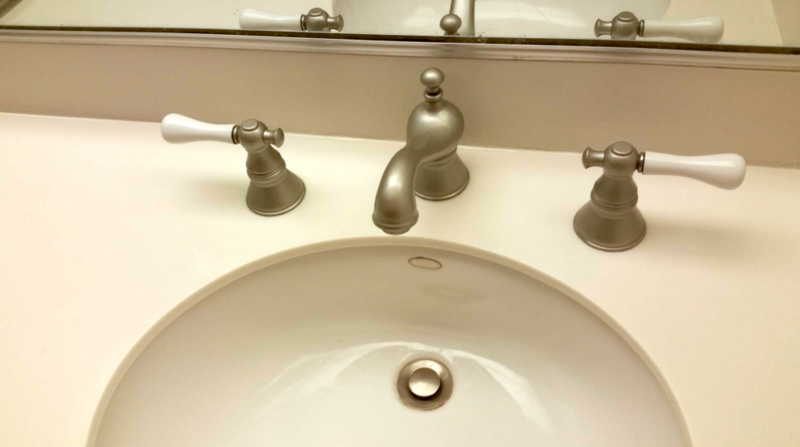 Refinish dated metal fixtures with metal-look spray paint to make them look completely new in just an hour or two. 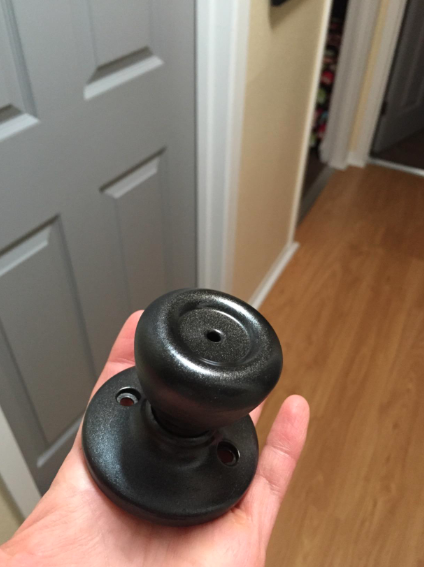 The doorknob photos don't have a "before", but I'd bet you $10 they were shiny brass. And the faucet has only a blurry "before", but it was a gleaming late-'90s chrome. 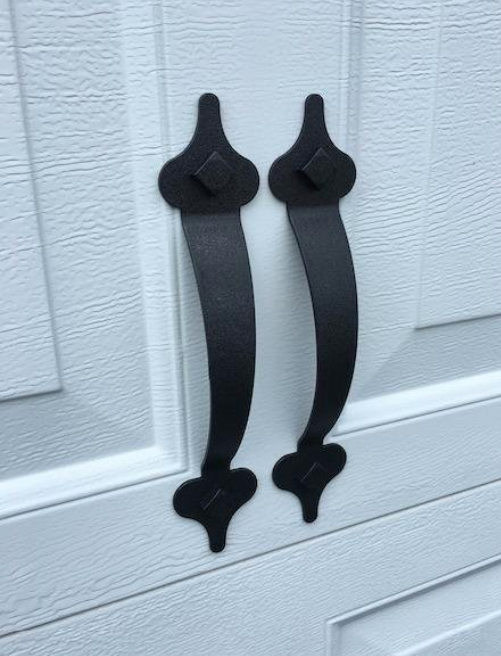 Get it on Amazon for $6.76 (though the color they used on the doorknobs is sold out; you can get a similar one as an add-on item for $6.76). 26. Free an entire drawer with an under-cabinet organizer that lets hot tools cool safely. Then repurpose that drawer to store so much more than just a couple styling tools and their cords. Get it from Amazon for $17.99 (six metallic finishes available). 27. 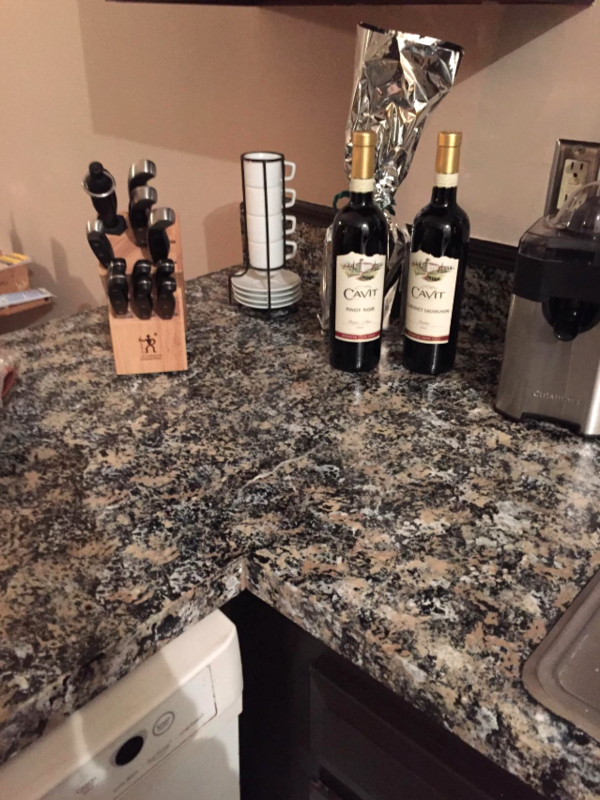 Overhaul that outdated Formica in your kitchen with a granite-look countertop paint kit for an inexpensive upgrade that'll last for years. 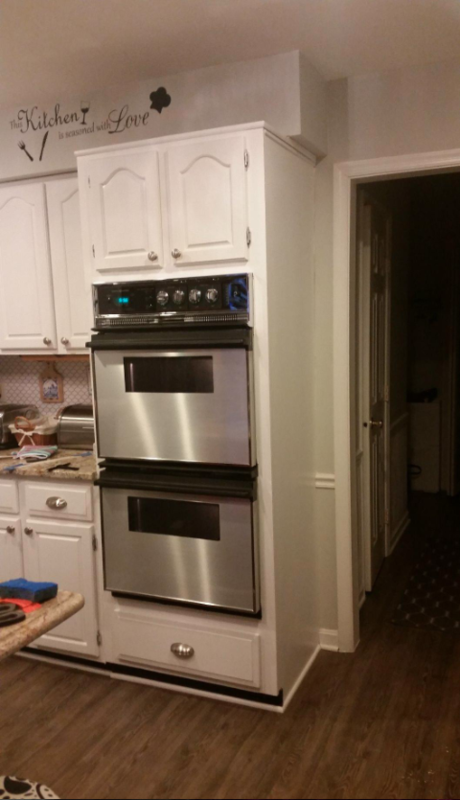 It's a three-step paint process that goes right over your old countertops. It has automotive-grade durability and is made of safe water-based materials. 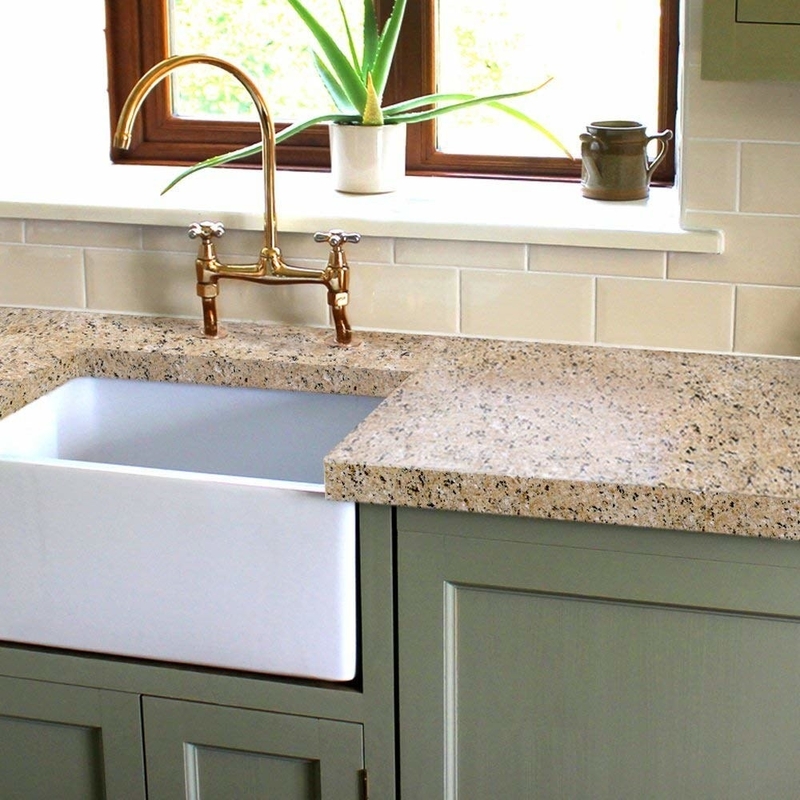 One kit covers the typical kitchen's 35 square feet, or 16 running feet of standard two-foot-wide countertop. Get it on Amazon for $79.95 (four finishes). 28. Shield a utility box, trash cans, or anything else you need to easily access with a four-panel bamboo screen. Promising review: "We needed an enclosure to hide our recycling bins when one of our neighbors reported us for having our three trash/recycling/compost bins outside and visible from the street, which violates a San Francisco ordinance. The side panels are easy to swing in and out to put the bins in and take them out. Whatever you use this screen for, it is very pretty, and I have gotten a lot of compliments. At 60 pounds I had a friend help me set it up, but the side panels, which are the only ones I move, are very lightweight." —Paula R.
Get it on Amazon for $124.76. 29. 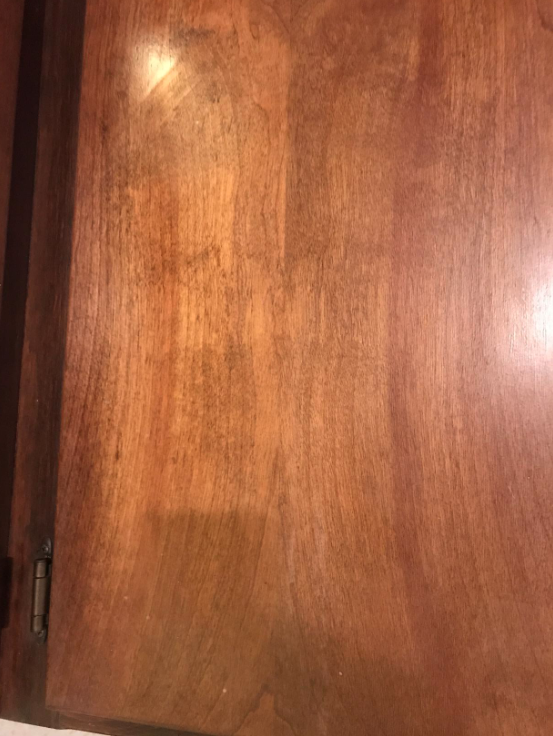 Watch obvious damage to your wood furniture disappear with water-stain-erasing cloth. 30. Or if the stain's a little too big to fix with a $5 cloth, cover it with a checked table runner you can match to the season. Promising review: "Love this buffalo check table runner! The quality is amazing, it will be such a transitional piece. I can use it for about any season. It fits my table just perfect. Love it!" —eric a. Get it from Amazon for $8.99+ (two lengths and six colors). 31. Tuck away toys (and all the other random stuff your kids left lying around) in this collapsible storage ottoman to reclaim your living room as a place for grown-ups. Get it on Amazon for $35.99 (two sizes). 32. If you're not lucky enough to have a mudroom, this shoe cabinet is a good start — it'll at least be better than the ever-growing pile of shoes threatening to trip you on the way out the door.